Oh no! You just found out that somebody likes a thing you don’t like. What do you do? If your answer is “keep my mouth shut so they can keep enjoying the thing even though I know it’s trash,” then I congratulate you for at least mastering the first step of basic civility. But there’s another step beyond that one: open-mindedness. It’s recognizing that you almost certainly don’t know that the thing is trash. It’s genuinely seeking to understand what it is that people enjoy about the thing. And if you master this step too, your life can be much richer. Let’s play - and discuss! 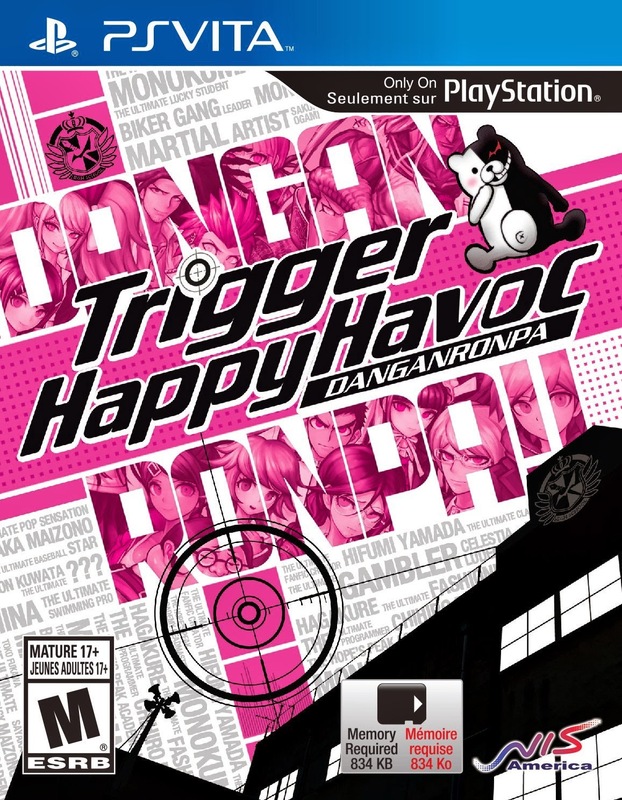 Danganronpa: Trigger Happy Havoc is overrated. The game is basically fine. It oozes personality with a distinctive aesthetic that’s serviceable at worst and compelling at best. It boasts some clever twists and well-done mysteries. It’s also a bizarre mishmash of mechanics, some of which work and some of which don’t (the “Re: Action” system is flat-out the worst attempt at conversation branching I have ever seen in a game) featuring paper-thin characters and a bevy of plot holes. (There are also a few moments that are shockingly insensitive or offensive, but that’s another story.) It borrows heavily from influences including Ace Attorney , Zero Escape , Persona 4 , and Battle Royale , but almost always in shallow ways that fail to emulate what made them great. The end result is entertaining, flashy, and kind of dumb. [Gamasutra:] A lot of the characters fit into really strong stereotypes. The concept of being “The Ultimate” whatever means they stand out as stereotypes. Can you talk about why you went in that direction? [Game Producer Yoshinori Terasawa]: What were we thinking about? It’s hard to answer that! [laughs] The scenario writer, Kazutaka Kodaka, he’s the one who basically thought of those stereotypes, and he created those characters. He’s the one who thought it up. When I spoke to Mr. Kodaka, I requested that he make [the player character] Makoto as non-special as possible, and make the other characters stand out in their own way a lot, and that’s why there’s this balance. That’s how Mr. Kodaka was able to create these characters. Unlike a lot of other visual novels, there are a lot of other gameplay elements such as free exploration, and the trials having multiple different gameplay elements. Did that grow from the story or did those ideas come first? YT: It was originally a basic visual novel, but visual novel games are not that popular in Japan anymore, either. So we figured that if Dangan Ronpa were to be just a visual novel, it would not be as popular we wanted it to be, these days. So that’s why, in order to show that the game is really interesting, we decided to add a lot of different features – after the scenario was written. Still, there’s a ton of potential here. If they’ve learned from their missteps, the sequel could be amazing. 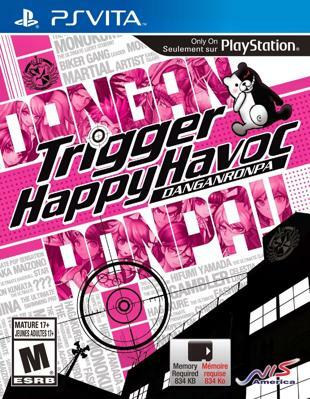 So we just have to wait for the Danganronpa 2: Goodbye Despair reviews, right? I’ve been thinking a lot lately about franchises. Having recently played Mass Effect 2 , and then Assassin’s Creed II , and now Uncharted 2 , I have a lot of questions about what sequels are and what they should be. When I played the original Mass Effect , I fell head-over-heels in love. I made three complete play-throughs in rapid succession, I devoured both novels available at the time ( Revelation and Ascension ), and when called upon to name my favorite three video games, Mass Effect made the cut. Then I played Mass Effect 2 , and now I barely care about the series. I mean, I’ll probably play Mass Effect 3 . I guess. Certainly not for full launch-day price. You can bet I won’t pre-order, even if they don’t pull any of my pet peeve shenanigans. What happened here that turned my devoted fandom to near indifference? Mirror’s Edge is a Bad Good Game. The foundation is solid: players take the role of Faith, a genuinely badass woman with a non-exploitative, unconventionally beautiful design whose motivations revolve around survival and protecting her sister. Faith parkours her way around an unnamed city of bright colors and austere beauty, and is trained in a variety of disarm techniques should she encounter armed attackers she can’t simply outrun. Sounds good, right?